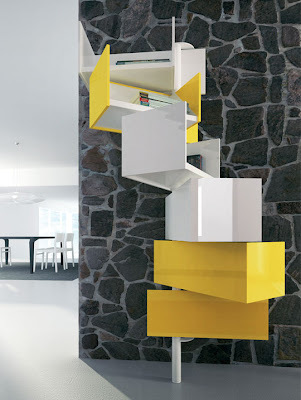 Collection of 'Creative Storages and Innovative Storage Systems' for maximizing your storage space. 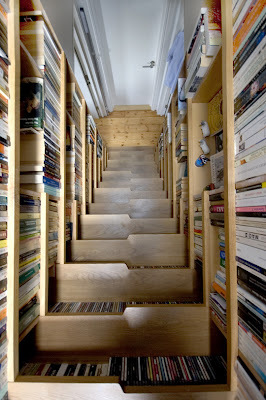 Staircase Shelving System: This staircase shelving system by D Kuo combines a bookshelf with a pull out stair system. 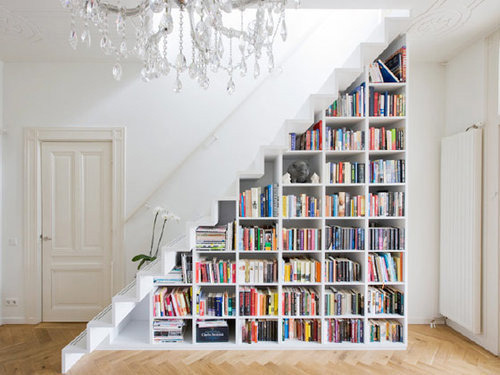 The shelving system is 2.6 meters high, and the pull out stair system in the bottom three shelves are to be used for accessing higher shelves. 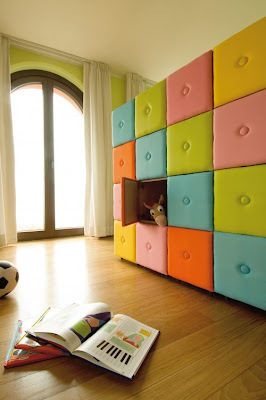 Kid's Room Storage System: This padded modular unit that incorporates art and function is a clever storage idea for kid's room. 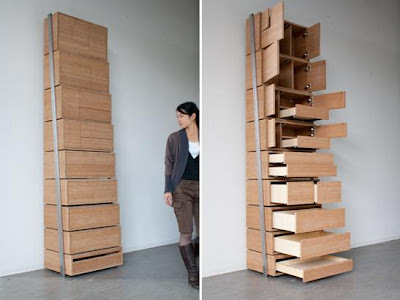 COLUMN: The column shelving storage consists of cabinets made out of cedar wood that measures 240 x 35 x 35 cm, which is customized for each interior. 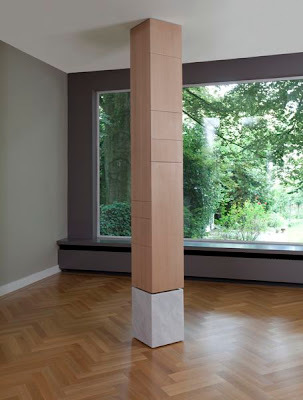 The pedestal is made out of solid carrara marble with a fixed height of 45 x 35 x 35 cm. Stairs Bookcase: It's a combination of a bookcase and stairs that gives you lots of space to store books while you access different floors of your house. 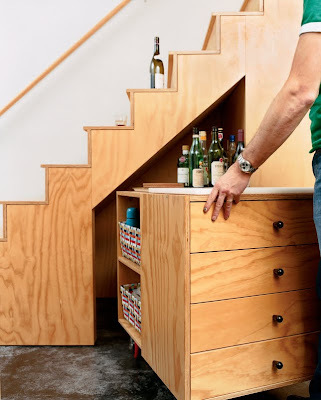 Mobile Kitchen-Supplies Box Under Stairs: Architect Sarti invented a mobile kitchen-supplies box with casters that hides beneath the stairs. Giralot storage system: This minimalistic design storage system is based on container-like shelves that swivel 180-degrees on a column that is attached to the floor and is fixed to a wall. 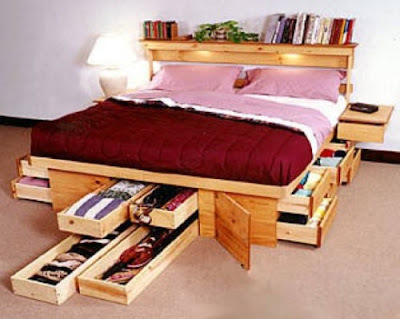 Underbed Storage Boxes: A creative storage system that maximizes the use of limited space. 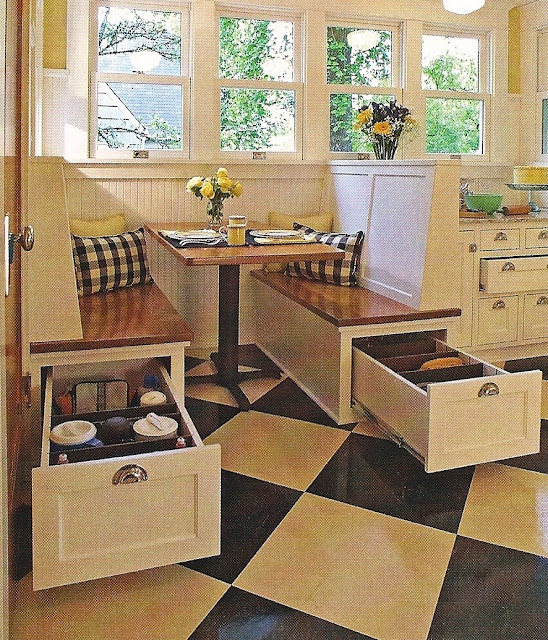 Banquette Storage Drawers: A creative way to utilize the space under this banquette. 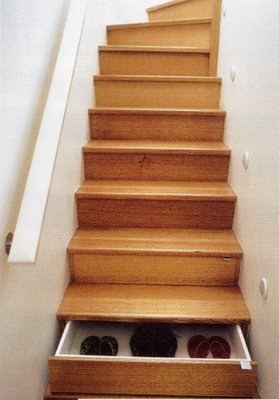 Under Cabinet Drawers: These under the cabinet drawers increase storage space in the kitchen. 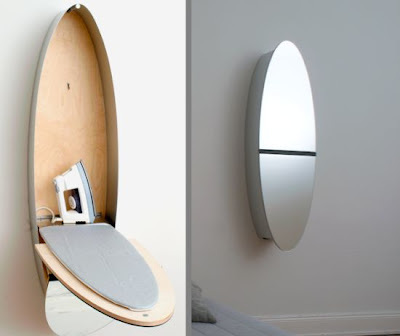 Mirror Ironing Board Closet: Developed for German manufacturer Konzept Design by designer Nils Wodzak; it's a compact installation that stores your ironing equipments, and doubles as a mirror and triples as a lamp. 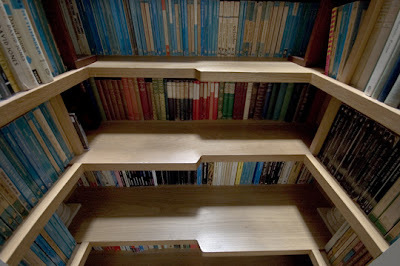 Storage Stairs: A smart storing solution for books. Storage Staircase: Turn stairs into drawers; each step has its own drawer. 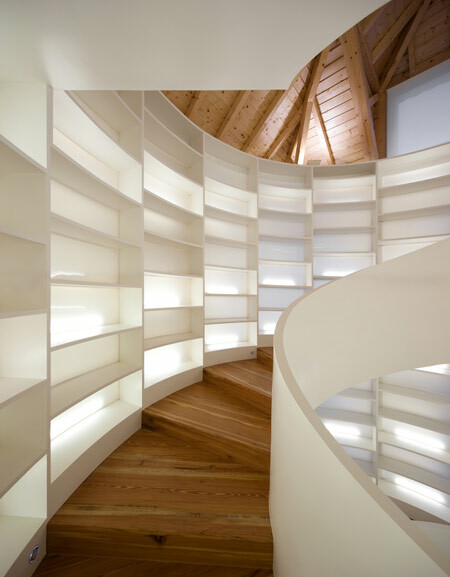 Bookshelf Staircase: The staircase is lined with bookcases which has shelves that are backlit through translucent plexiglass and can hold 6000 books. 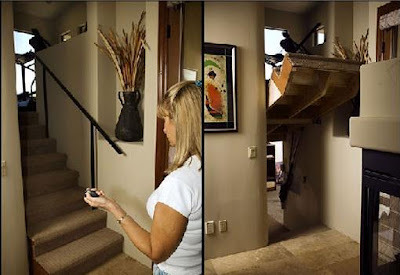 Under Stair Hidden Room: Here is a more clever way to hide under stair storage or for that matter even an entire room or passage. Babycake - Wall Mirror Storage: This wall mirror storage system is a beautiful combination of wall mirrors and storage space. It comes with two containers hidden beneath the mirror shaped doors. 15 Creative Fruit Bowls and Cool Fruit Holder Designs - Part 2.